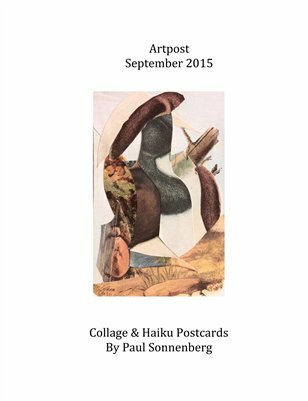 This monthly magazine will document my daily Artpost collage/haiku postcard project. 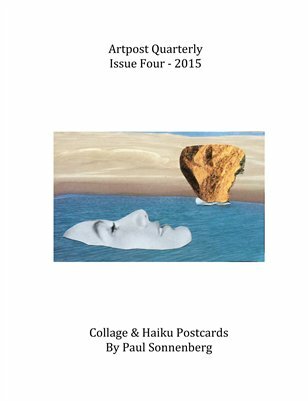 Issues should be available within a week or so of each month's end. 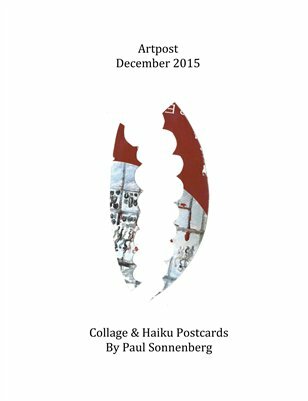 365 postcard collages with accompanying haiku. 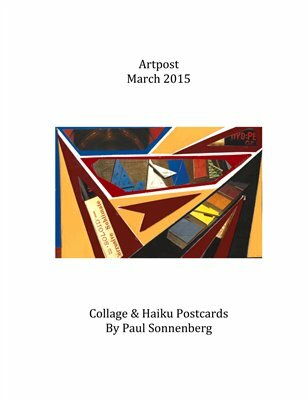 A collection of daily postcard collages with accompanying haiku. 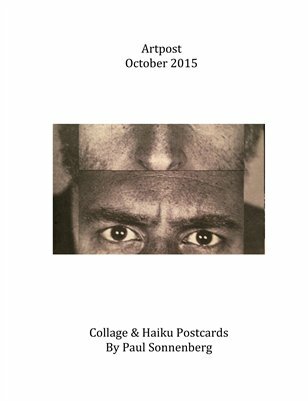 Print + Digital: $20.20 Digital: Free! 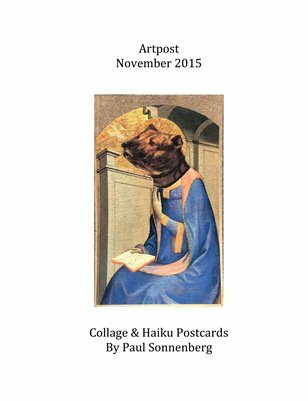 October's collection of my daily collage/haiku postcards. 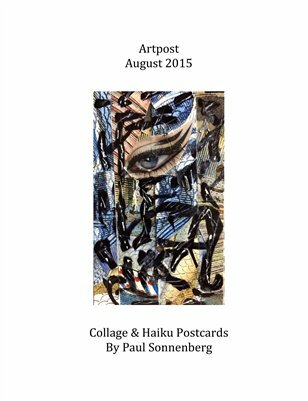 The July edition of the monthly magazine collecting my daily collage/haiku postcards. 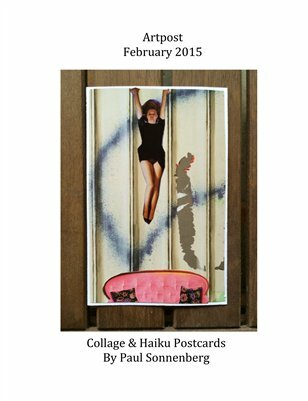 The second quarterly compilation of my daily collage/haiku postcards. 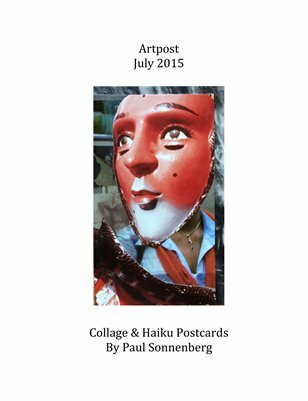 The sixth of twelve monthly collections of my collage/haiku postcards. 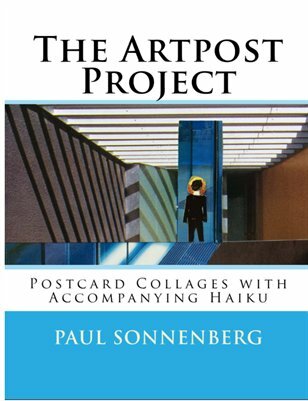 Halfway home! 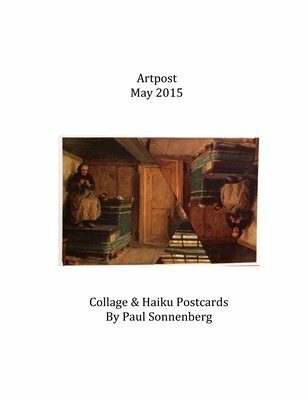 The fifth monthly volume in this series, collecting May's daily collage/haiku pieces. 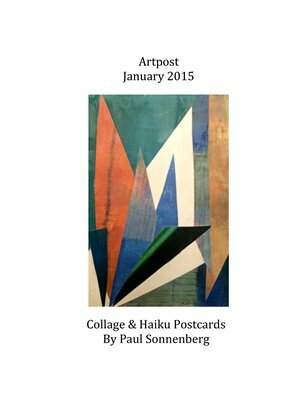 The January, February and March 2015 collage postcards with accompanying haiku created by Paul Sonnenberg. 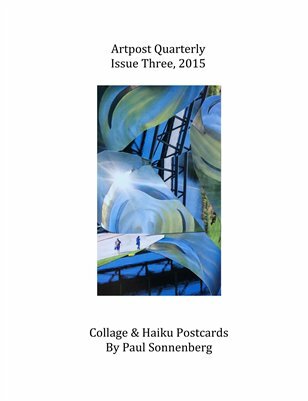 The fourth volume of a monthly magazine documenting my 2015 daily collage/haiku postcard project. 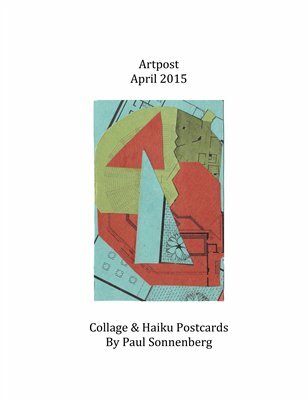 Images of the collage/haiku postcards created and mailed by Paul Sonnenberg in March of 2015. 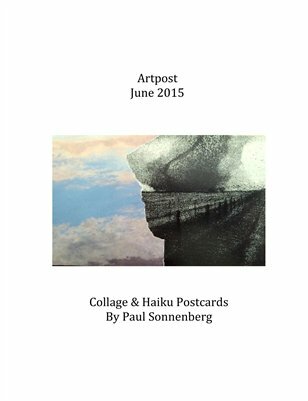 A monthly collection of words and images from Paul Sonnenberg's 2015 daily collage/haiku postcard project: Artpost '15. 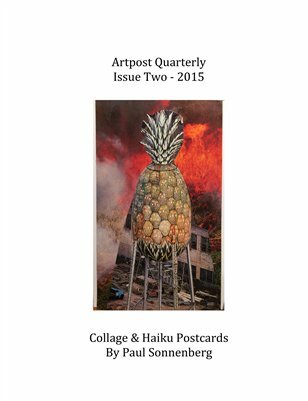 This monthly magazine documents my 2015 daily collage/haiku postcard project. 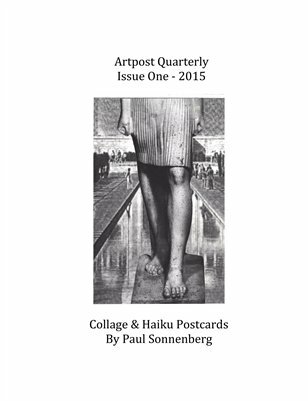 Print + Digital: $7.99 Digital: Free!